I’ve gotten 3 new clients in the last couple of months because their websites were either lost due to servers being hacked or neglect by the site owner to pay for their domain name registration or web hosting account on time or framework, plugins or module updates that were not done in time. I’ve be able to rebuild all of these sites by using the Way Back Machine and downloading what was still on the server. The Way Back Machine is an incredibility valuable resource ran by a non profit organization. Please make a donation if you can. Changes are you will use this sometime in the future. In my 16 years of experience as a web developer I have noted which hosting companies are vulnerable to hackers and other web hosting negligence. I am not listing them here because I don’t feel that would be the right thing to do but I do offer another solution to my clients. 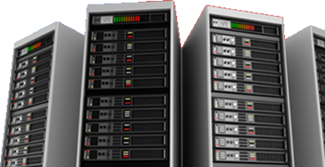 Most web hosting companies only keep backups for a week and if you’re only paying $50 to $100 a year for a shared hosting plan you can expect your site is sharing a server with 5000 other clients and a lot of them have several sites. As they say, “You get what you pay for”. There are several problems with sharing a server like this. One being, if any of the other sites has not optimize their pictures or videos and each one is ten mega bytes, when visitors are downloading a page, your site will have to wait several seconds to minutes before your page is displayed. Your visitors at that point usually click on to your competitors site by then. This also is a big factor in PageRank and other Search Engine Optimization disadvantages. Just think about what the odds are of other webmasters not optimizing all their pictures, images and videos. My experience is that most webmasters don’t code their site properly. In fact, I’ve gotten a lot of clients for that reason alone. These are just some of the many reasons I encourage my clients to us my dedicated servers, even offering it to them for free. I backup my servers every day of the week and weekly for 5 weeks. So if data is lost I can go back to any day of the last week or any week of the last month. This is all done automatically and I get a report every day so I know it’s all working correctly.